Rugs can bring an entire room together and I’ve learned they are just as important to a room as comfy seating and good lighting. I bought a new rug this summer and now that we’ve had it for five months, the verdict is in, I really like it. yes, I have a tree and stockings up, I’m a home blogger, this is my life, I promise I’ll do a dedicated Christmas decor post in December! 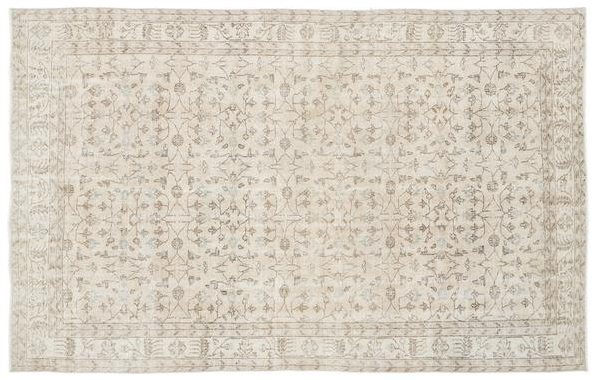 I’ve had great luck shopping online for rugs, but that’s because of the low color expectations I have when I shop online. 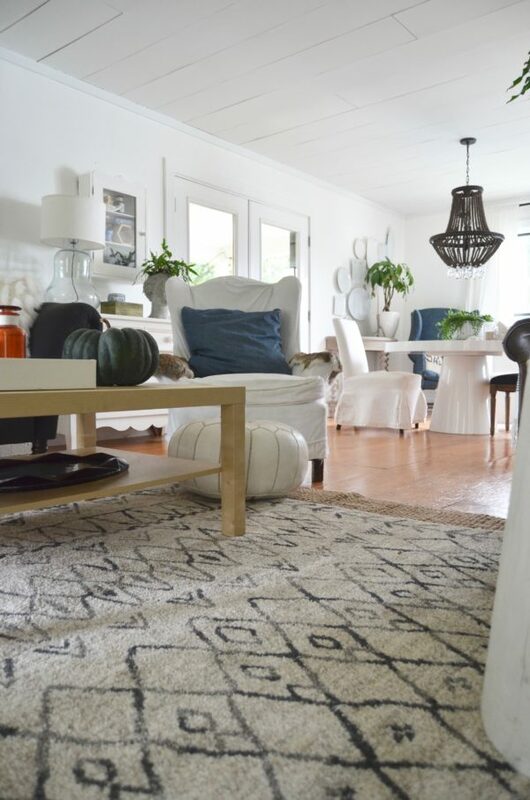 What I mean is, when I’m looking for a rug it’s either early on, in the room’s design, OR the room is already neutral enough that I don’t need to find the perfect rug that goes with expensive drapes or furniture in specific colors. If you already have lots of color that you need a rug to work with in a space, it’s going to be really difficult to find a rug online. It’s actually going to be really difficult to find a rug locally. You can still do it, just know in the future, it’s so much easier to pick out paint and drapes AFTER you find the right rug. Our family room has blue accents that I wanted to keep, and our doors in the house are all grey, so I knew if I found something that would work with blue and grey we’d be good. 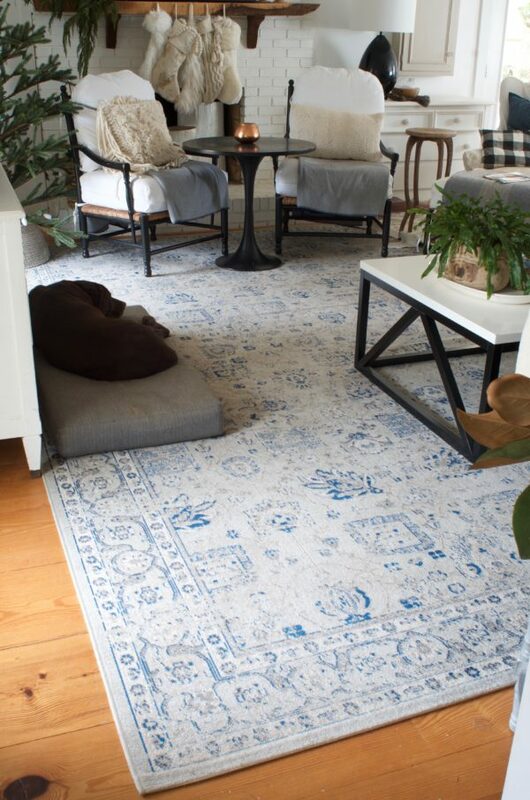 I was very open-minded on the particular shades of blue and grey –even open to rugs that had neither of those colors, as long as it was neutral. I just couldn’t let anything go too purple (greys sometimes have purple undertones) or too robin’s egg blue. I found this rug all over the internet. At the time, the best price for a 10 x 14 was through Rugs USA . I’ve ordered from them before and their shipping is super fast. The one complaint I have about the rug is, from time to time it wrinkles under the sofa–I purposely left it so you could see it in the photo above. It’s an easy fix, it’s just something we’ve found ourselves adjusting about once a month. I could probably solve the problem with a rug pad, or if the rug was a higher quality–like made of wool, it would be heavy enough that this wouldn’t be a problem. I wanted the largest rug I could find for our room. There’s about 18-24 inches around the perimeter of the room where the wood is bare, everything else is covered. 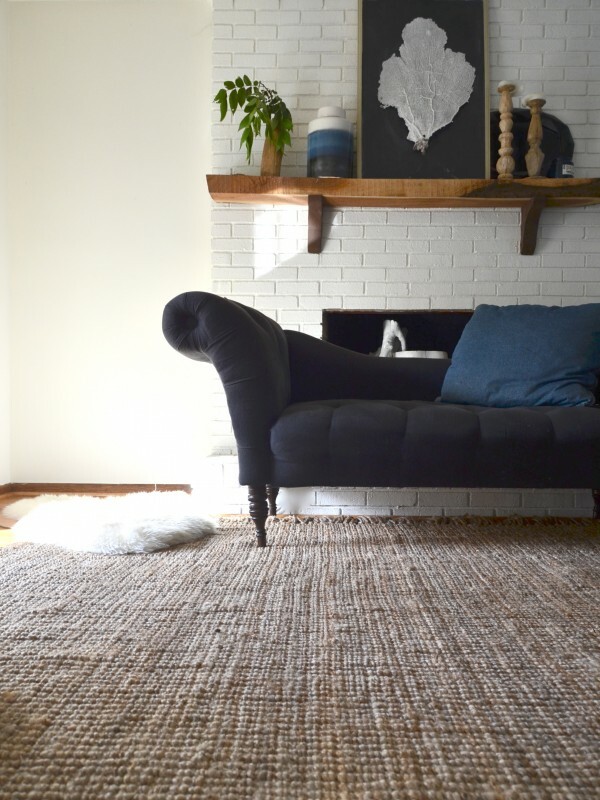 One mistake most of us make when rug buying:: we buy rugs that are way too small. Even though I wanted a huge rug, I wasn’t ready to pay more than about $500 right now. I was kind of surprised I found something that I like so much. It had to be pretty, not scratchy, and big. Because I was on a tight budget, I had to give on the material so I know this rug won’t last as long as a wool rug. 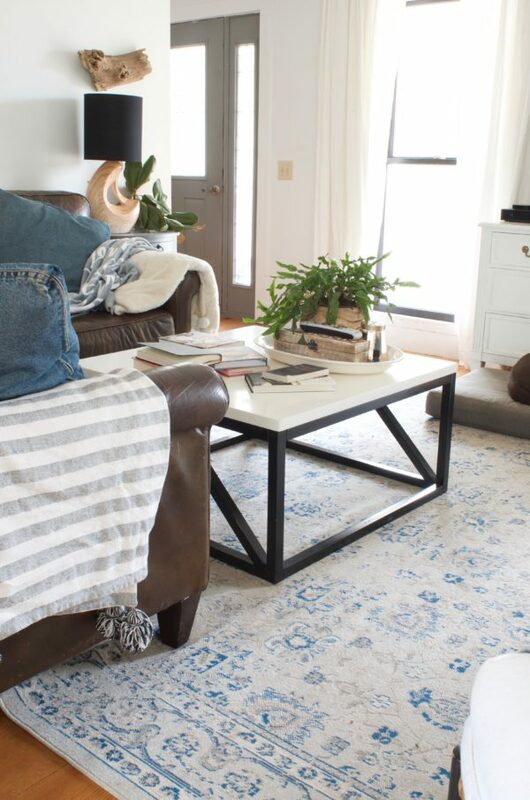 When shopping for a rug like this (and not something vintage and one of a kind, like I did with our bedroom) I start at the biggest online stores I can find. Usually, RugsUSA, Wayfair and yep, even Amazon. As I shop, I favorite the rugs that I like, or pin them. 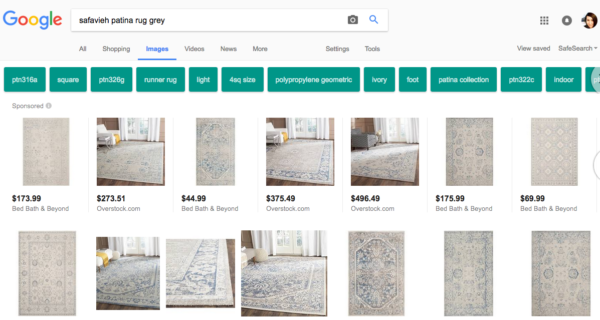 Once I narrow it down by obsessing over the top contenders for days and reading all the reviews I can get my hands on, I’ll do a google image search with the maker and name of the rug to see where I can find the rug for the best price. You’ll have to wade through some rugs that aren’t a perfect match, but you also might find some contenders you didn’t initially see. Right now, the 10 x 14 size is sold out at Rugs USA, but Amazon has it for just a few dollars more. Disclaimer, these photos aren’t super styled, this is how we do it around here. But I wanted you to see how I used a cowhide rug layered on top of the large rug to visually extend our family room a little. We have an odd set up right now, with a random chair in between the family and dining room, it makes sense in the room but looks odd in photos. 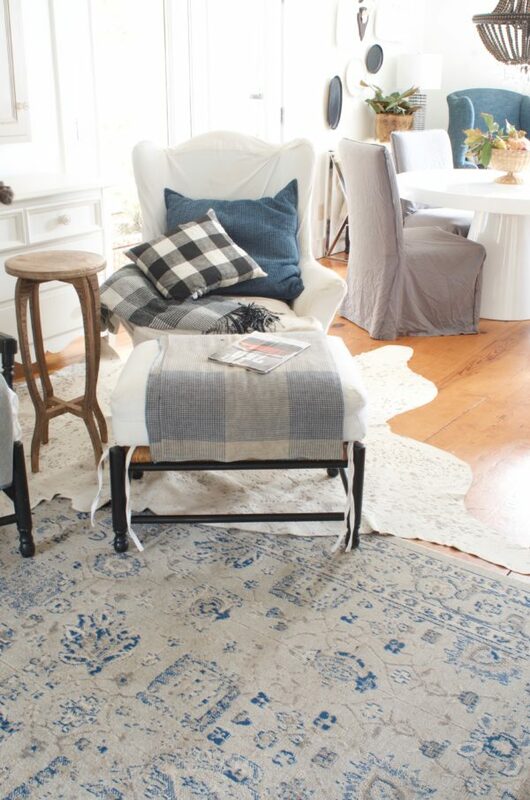 Anyhow, a cowhide layered on one edge of a rug is a great way to incorporate a weird space or an extension of a room. If you are in rug shopping mode, go ahead and get on the mailing list of a few online stores and most likely, within a week or two, you’ll get a coupon to save some money on a rug and 15% off goes a long way when it comes to buying a large item like a rug. I’m writing this a week before Thanksgiving and in years past, Rugs USA has had a HUGE black Friday rug sale, if you’re looking for a rug, I’d get on their email list for a few weeks (then unsubscribe because no one needs to know about rug sales forever). PS, I had to have a Christmas Tree early this year for some photos. I’ve been in love with Silver Tip trees and we had a real one last year and a natural tree a few years ago. 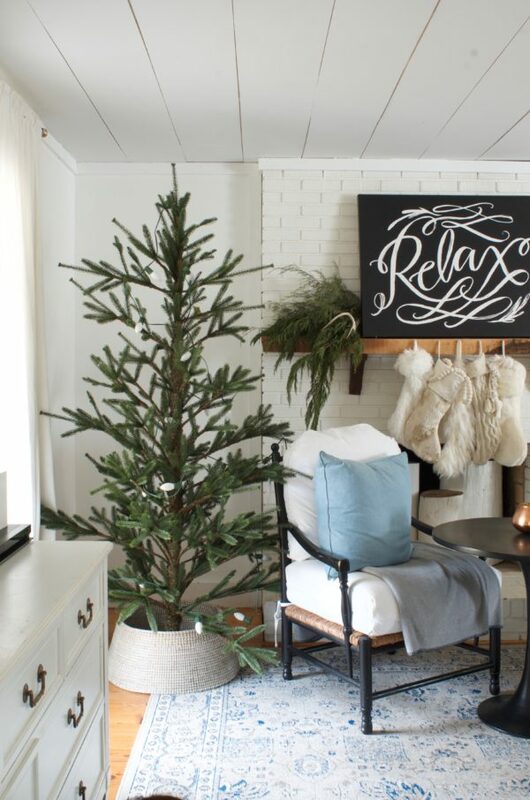 This year, I couldn’t get my hands on a real one this early so I found an imperfect, artificial tree that looked as real as possible–we bought the 7 foot tall tree which looks like it’s sold out right now. but, here it is at walmart.com. I was sure I’d end up returning it but we all love it for what it is! My Jute Rug (It really hushed the house and I LOVED how it looked but it was SO scratchy and shed a lot). Where are your chairs from? The rush seat chairs are AMAZING! I would love to know the source too…. Thank you for this article. For me the big frustration with ordering rugs online isn’t about color but shedding. If I’m buying in person, I will know if a rug sheds by running my hands over it and seeing what happens. 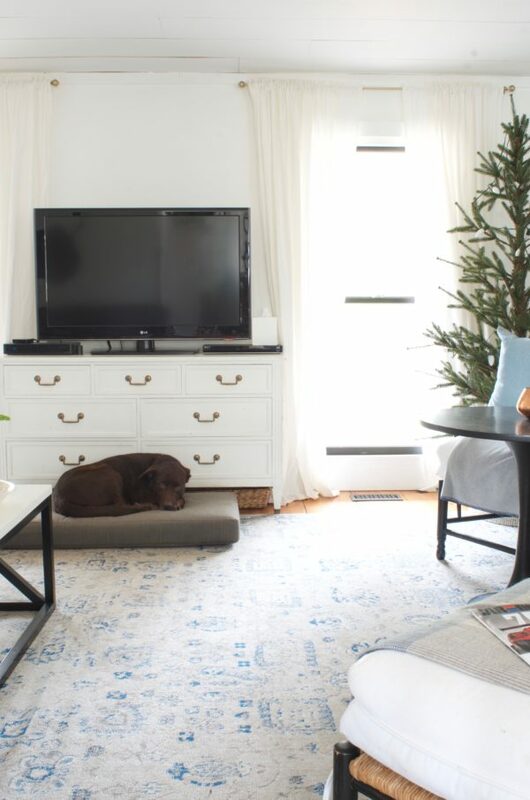 Is there anyway to know before buying from afar whether or not a rug will shed? I have a rug that sheds and won’t make that mistake again. Thoughts? Your home is lovely! Would you mind sharing where you bought your coffee table? Thank you! I’ve bought a number of rugs online (I think all have been from rugsusa) and have been happy. My living room is a problem area, though. Right now I have bound carpet that is the perfect size: 11’x12′. I could go a foot larger all the way around but standard rug sizes are not working for me! I am currently looking for a wool rug. I found one locally- a 8’8″ x 12′ wool Karastan, but I am stalling on making the purchase. The price is firm, $649, which really is a good price for a good wool rug. Hope someone else doesn’t buy it Interesting that that is your topic when I turned on my iPad. If I had a truck I would have the rug on my floor already. Just don’t like to pay to have it delivered. OK but now what I really want is that gorgeous basket your tree is standing in — could you share where that is from? Those stockings looks so soft, I just want to hug them! Your home is lovely! Would you mind sharing where you bought your coffee table? Can I please buy your house? Fully furnished, of course! ? I can not find the links for the tree. Please help. I am glad that you are giving idea of how to shop for a rug online and it matters a lot for people like me. I’m struggling through ‘Cozy Minimalist Home.’ If every room must have a rug, why does anyone spend big money on hardwood, marble, cork, bamboo or ANY flooring for the entire room? Why don’t we lay flooring on just 3′ width around the baseboards, and leave the subfloor to be covered by the huge rug? I don’t want to cover up any part of my beautiful floors! Is there no way to have a “cozy” home without rugs? 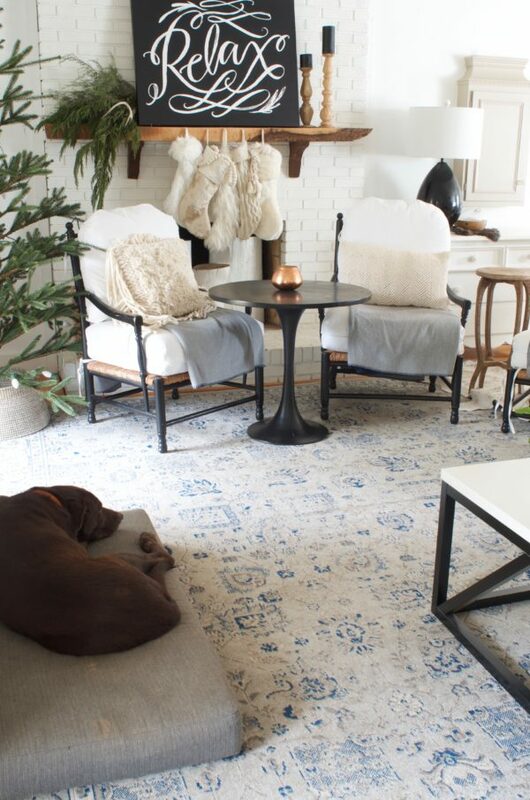 Do you have any tips on finding non-toxic rugs? I get really stumped on this point. Polypropylene scares me as it can off-gas. As I understand it natural materials may be some better. Of course, they are often more expensive. Just wondering if you know of any good sources? Loving your book!